Kernel for NTFS recovers deleted files and data from deleted, formatted, damaged, or corrupted partitions where NTFS based operating systems, such as Windows 2000, Windows XP, Windows 2003, Windows Vista are installed on the hard disk or data storage media. 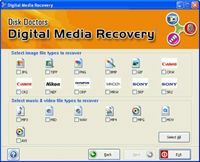 During recovery process a complete scan of the damaged drive or data storage media is performed to locate and recover the lost or deleted partitions, files and folders. 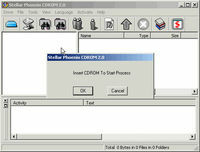 After the complete scanning the data found in the damaged disk is displayed in a tree like structure from where you can easily copy your recovered files to a working disk or volume. 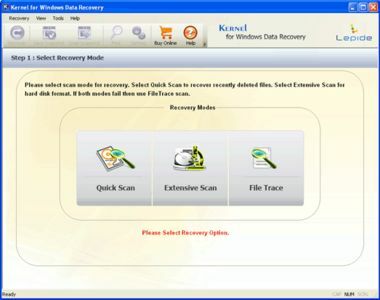 Kernel for NTFS Data Recovery Software uses quick algorithm for searching and restoring lost partitions, deleted files and folders and hence is a fast, simple and easy to use data recovery software for windows, which helps you to recover your lost data and files in minutes in case of disk crash or data loss disasters and hence supports your business continuity. Kernel for Windows supports NTFS, NTFS5 File Systems.